Keep your property comfortable all year round with the help of Dynamic Air & Heat. As a skilled and experienced HVAC contractor in Cypress, TX, we offer services to cover all your heating and cooling needs. Whether you need to install a new heater or have your AC unit repaired, our team is ready to help. We also offer complete maintenance packages to keep your cooling systems running longer as well as improve the air quality of your home. It gets hot here in the Lone Star State, which means you need an AC system that is capable of keeping your property cool and comfortable all year round. Thankfully with a modern HVAC unit installed by our team, beating the Texas heat will be a breeze. Our skilled technicians have the experience and tools needed to efficiently handle your air conditioning installation. They will ensure that every area of your home is covered by the cool air and will test the entire system before completing the job. This ensures that your whole house is kept cool and that your system runs when you need it most. To learn more about our AC installation services or to schedule an appointment with our technicians, reach out to our office. 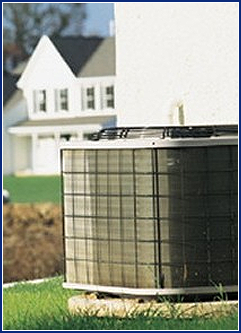 Over time your AC system may start to lose its efficiency or break down completely. When your air conditioner stops working properly, trust our team to take care of the problem. We have extensive experience dealing with air conditioning repairs. Our technicians are trained to troubleshoot the issues with your AC system to determine the cause of the issue. Once we have determined what the problem is, we will use the latest tools and equipment to handle the repairs. We stock our trucks with the common parts needed to fix most issues, and we will usually be able to handle the repair right away. At Dynamic Air and Heat, we always strive to deliver the best service possible on all jobs we handle. All of our technicians have been certified by the North American Technician Excellence (NATE) program. This ensures that we are prepared to handle any air conditioning job for your property and that you are satisfied with the service we provide. So when you need a competent team to take care of your HVAC project, trust our technicians to get the job done right. Contact us when you need a skilled HVAC contractor to handle your heating and cooling needs. We proudly serve Cypress, TX, and the surrounding areas.